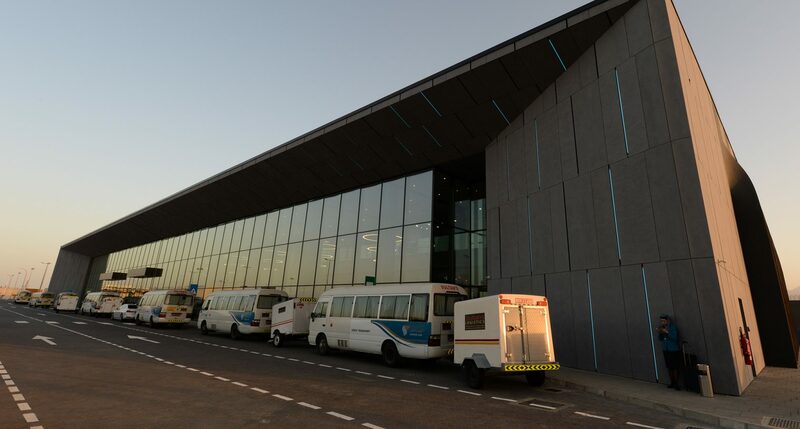 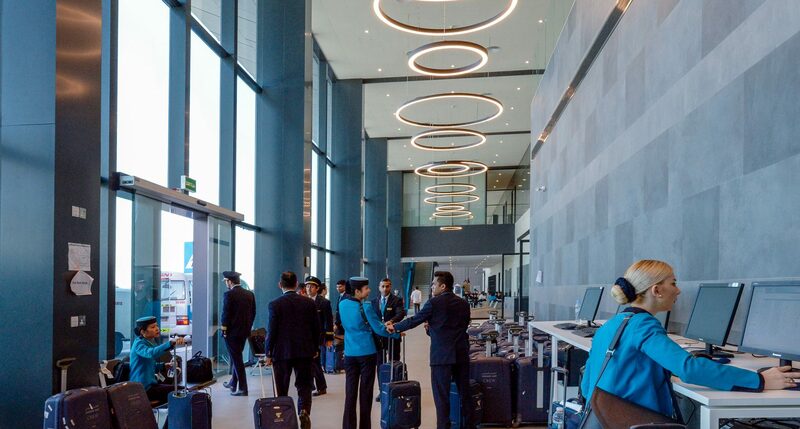 The Oman Air Crew Reporting Building is the newest, and perhaps the most vibrant addition to the newly inaugurated Muscat International Airport. 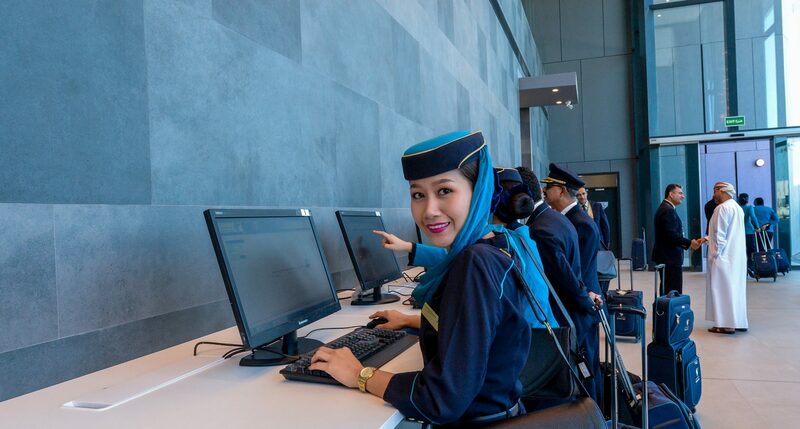 Soon to be officially open, the building is to function as a miniature airport dedicated to the growing Oman Air Cabin Crew and other international carriers, encompassing areas for briefing and de-briefing areas, departure and arrivals lounges, Royal Oman Police Offices ( immigration, customs, Security) and state of the art automated baggage check in, which is the first of its kind to be used in the airport premises, amongst other high-tech equipment. 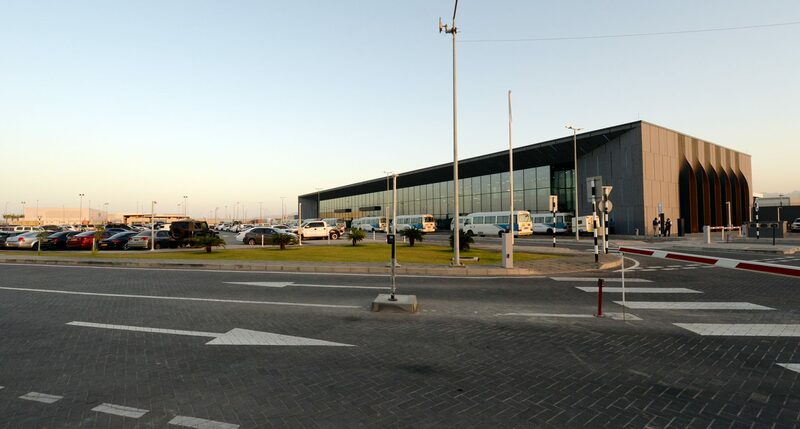 The building is to also to house the head offices of some of the subsidiaries of Oman Aviation Group. 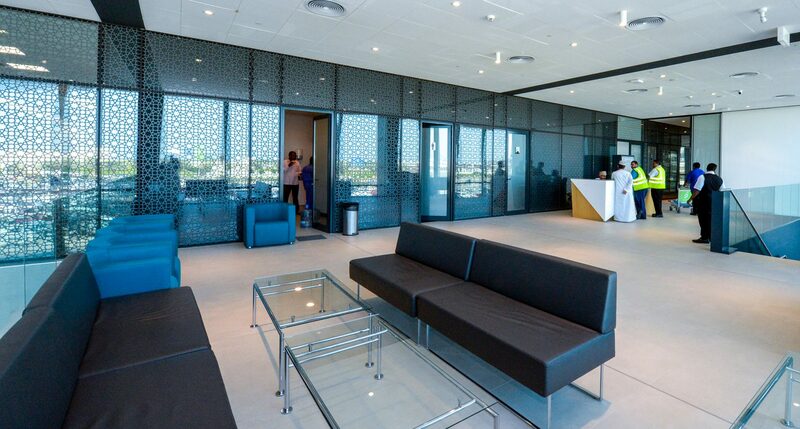 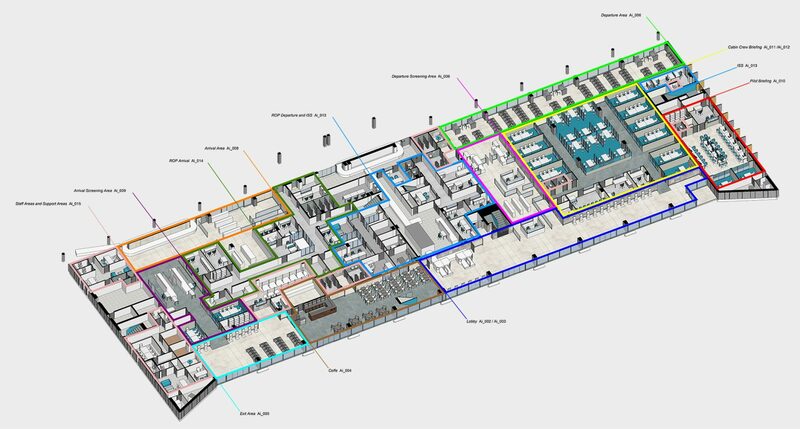 The building stands on a plot of about 25,000 square meters with a built up area of about 7,300 square meters. 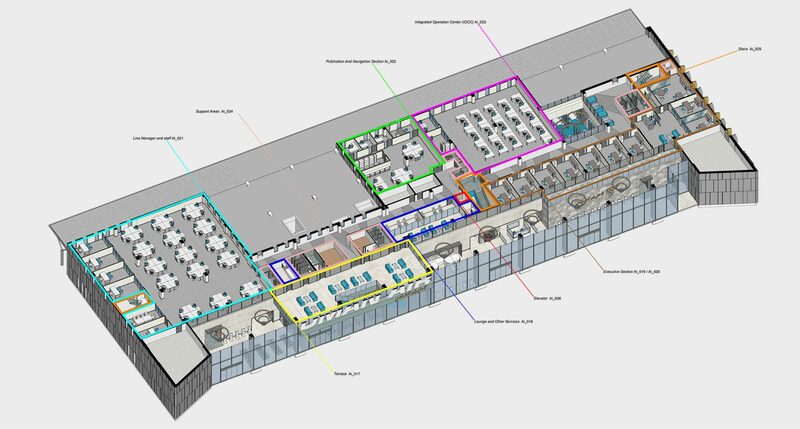 The project is characterized with a light grey aluminum façade highlighted by soft blue LED lights that animate all the sides of the building. 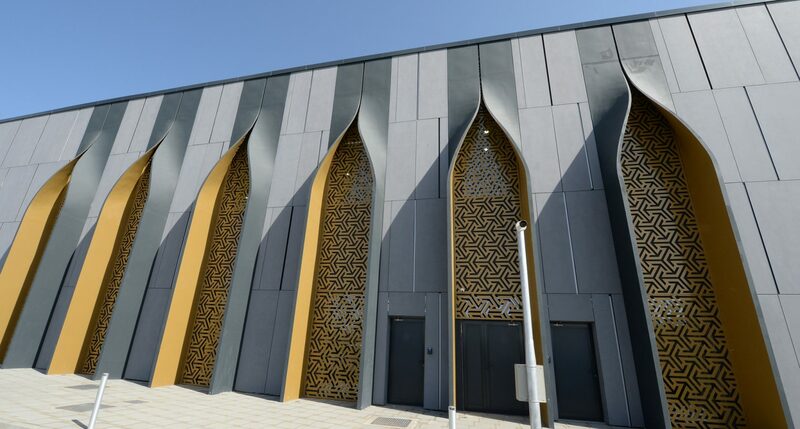 The eastern side of the building is highlighted by the contemporary interpretation of an arch folding outwards and containing a beautiful golden pattern giving a subtle reference to local architectural language.